Can I know the ways to go to Cyberjaya from Sunway Pyramid? What is the landmark that I can recognize to go down from the bus and the cost of each station. Hi, you can take RapidKL U63, U67, U76 to KL Sentral, then take KLIA transit to Putrajaya/Cyberjaya station, then take U429 to Cyberjaya. The cost to KL Sentral is Rm1.90 while KLIA transit will cost you Rm9.50 and U429 Rm1.90. A taxi ride should cost you about Rm20-25 only. Can i know the cheapest and easiest way to get to the curve from selayang baru? Hi, you can take RapidkL T229 to Metro Prima, then take RapidKL U86 to The Curve. Hi, you need to take taxi because there is no bus to Main Place. Hi, you can get down at Kelana Jaya station and take free shuttle to TCM. Hi how do I get from Kelana Jaya station to Sentul? Hi, you can take LRT from Kelana Jaya to Masjid Jamek, then at Masjid Jamek change to Sentul line to Sentul. Hello. How cam i get to sogo from lrt gombak? Hi, you can take LRT from Gombak to Masjid Jamek, then switch to Sentul Line and take the LRT to Bandaraya Station. If you are from UIA, you can take RapidKL U12 directly from the campus to SOGO. Hi..may I know how long does it take to travel from kl sentral to sri rampai station via lrt? Thank you. Hi, it is roughly 20 minutes. hello, how to go to TBS from Kelana Jaya? Hi, you can take LRT from Kelana Jaya to Masjid Jamek, then switch to Sri petaling Line LRT to TBS. Hi. How long is the journey from kelana jaya to dang wangi? 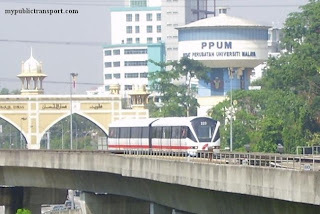 Is Dang Wangi lrt station interconnected with Bukit Nanas monorail station? Thanks. Hi, the journey is about 30-35 minutes. Yes , the LRT station and the Monorail station are connected through a link bridge. Hi, how long does it take from LRT Taman Bahagia to LRT Bangsar and from there to PBD by rapidkl bus? Hi, the journey of LRT should takes you about 20-25 minutes. you can take RapidKL T634 from Bangsar LRT to Pusat Bandar Damansara. hi, how do i get to Kompleks Sukan MSN Setiawangsa? Hi, you can take T309 from Setiawangsa LRT Station or U21 from Dato Keramat and Jelatek LRT Station. Hi may i know how much is the taxi fare from putra jaya to kelana jaya / bangsar? Hi, it should be about Rm30-40. You can take RapidKL U43, which costs only Rm3. Hi, how to go to pj trade centre from kelana jaya lrt station? The cheapest way possible. And how much taxi will cost? Hi, you can take RapidkL U89 to 1Utama, then take U86 to PJ Trade Centre. Taxi from Kelana Jaya LRT never use meter and such distance they may charge up to Rm30. Hello, may I know whether there's rapidKL bus from Taman Bahagia station to Nobel International school? Hi, you can take RapidKL T625 from Taman Bahagia LRT Station. Ok:) what if from Kelana Jaya station to Nobel International school? which rapidKL should I take? You cant. You need to go to Taman Bahagia LRT station. Hello again, how to go to pj trade centre from taman bahagia? How much it will cost if using taxi? Hi, taxi should cost about Rm15-20 from Taman Bahagia to Pj Trade Centre. You can go for Uber for cheaper rate. Hi, you can take LRT from Wangsa Maju to Kelana Jaya, then take RapidkL U623 to Sunway University College. u623 is just only reach sunway pyramid right? It comes from Kelana Jaya LRT through LDP and PJS 7 and will go to Subang Parade. No problem, you can ask as many as you wish. From Subang Jaya KTM, you can take RapidKL u62, U67, U76 to Sunway Pyramid. Hello, what rapid bus should i take from lrt taman bahagia to pj trade centre? 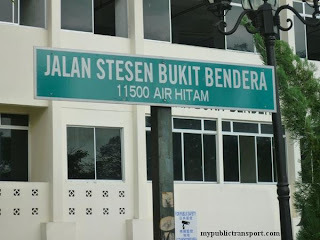 And how to go to sekolah sri bestari? What is the nearest station with that school? then, which rapid bus should i take and how much taxi will cost? Hi, you need to take LRT to Kelana Jaya and take U89 to 1Utama, then from 1Utama take U86 to PJ Trade Centre and Sri Bestari School. Only U86 goes to the two places from 1Utama. How much taxi will cost from kelana jaya and taman bahagia lrt to sri bestari school? HI, you can take LRT from Wangsa Maju to KL Sentral, then take RapidKL U80 to Shah Alam bus terminal From there, you can take Seranas bus 9A or RapidKL U605 to Melawati Stadium. Hi, you can take KTM from TBS to KL Sentral, then take RapidkL U66 or U75 to Assunta Hospital. Hello there, Can you guide me from ATC (college) / LRT Pasar Seni to Hospital Selayang? I know that T229 Bus got go there but where do I need to get on? Like the bus stop at which train station. Hi Mr.Then, you can take RapidKL U209 or Metrobus 50/55 from bus stop near Lebuh Ampang directly to Selayang Hospital. no.105,gugusan melati B 4/5,jln camar seksyen 4, 47810 k.dmnsara..
Hi, you can take RapidKL U88 or Metrobus 99 from Kota Damansara to U-Turn near Kampung Bukit Lanjan, then you can walk from there to Menara Bata. No problem with the questions:) From Damansara Damai, you need to take U4 or Metrobus 100 to Metro Prima , then only you can take U86 to Menara Bata. Basically from Kota Damansara to Damansara Damai, taking bus will takes you more than 2 hours even though they are near to each other. If you going to work at Menara Bata, I will suggest you to stay at Kota Damansara or even Damansara Perdana (if you can find). Kota Damansara will be most suitable because you can take U88/99 to LDP and cross the road to Damansara Perdana. How long time will it took to menara bata if I stay at Kota Damansara? Thank u very much. Is it far to cross the road to damansara perdana? How many minutes if I just walk? From Kota Damansara, U88 and 99 usually comes every 15-20 minutes. The journey is only about 15 minutes. It is not far to walk, you can check this street view out.Menara Bata is can be seen in front and behind you will be the bus stop. Just move 360 degree to see. It should be reach in 5-10 minutes. Hi there. How long does it take to travel from wangsa maju to dang wangi via lrt? Thanks. Thank u very much. How about persiaran surian damansara mutiara to menara bata? 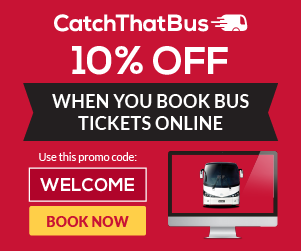 What bus should i take and how long will it takes to get there? Hi, it is roughly 15 minutes. The walking distance should be taking about 20 minutes from Mutiara damansara to Menara Bata. Is it the same way if i go back to kota damansara? Same bus? Same route? 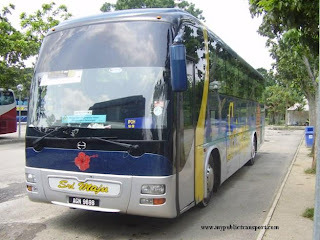 Yes the same bus, but you need to board it near Persiaran Surian. Hello. 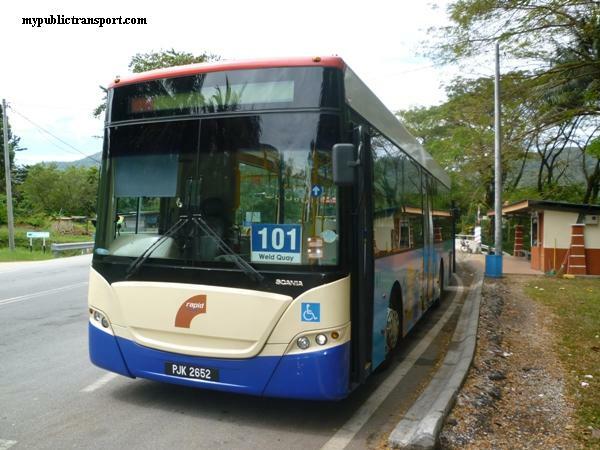 if i want to go to plaza vads ttdi from rumah pangsa tropicana damai which bus should i take? Hi, you can take RapidKL T622 to Kelana Jaya LRT station, then take U89 to 1Utama. 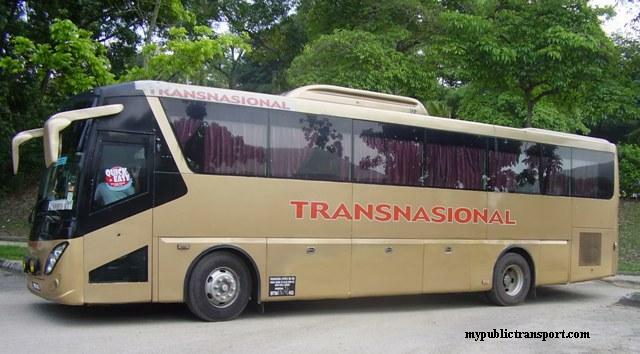 From 1Utama, then you can take U82 to Plaza Vads TTDI. Approximately how long times it will takes? That looks long. My friend need to be there before 8am. Thank u.
Hi I would like to ask how to Go to sunway pyramid from kelana jaya lrt? It takes more than 2 hours. So you friend may need to take taxi. Hi, you can take RapidKL U623. Hai, how to travel from uitm shah alam to kelana jaya lrt station? Hi, you can take RapidKL U80 to Federal Highway near Asia Jaya, then walk to Asia Jaya LRT station and take LRT to Kelana Jaya Station. How do i get to shah alam seksyen 25 from kelana jaya? Hi, you can take LRT from Kelana Jaya to Asia Jaya, then walk to Federal Highway and take RapidkL U64 to shah alam seksyen 25. Hai. 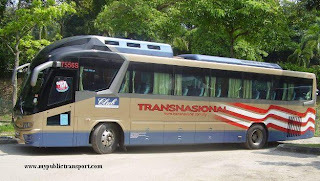 What bus should i take to go jalan 3/71b pinggir ttdi, kg sungai penchala? I am living at kota damansara seksyen 4. Hi, you can take RapidKL U88 or Metrobus 99 to Kg Bukit Lanjan, then walk to Kg Sungai Penchala through the small Jalan Damansara. It should be about 30-40 minutes. Hi, can I know how to travel from IOI Boulevard to Dataran 3 Two Square, Petaling Jaya and approximately how long it take when I start to travel by 9:10 am (consider jam)? Thank You! 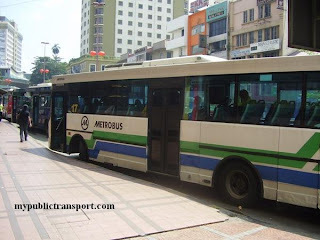 Hi, you can take RapidkL U60, U69,U70, or Metrobus 20,21,58 to Mid Valley, then take Metrobus 99 to 3 2 Square. This should roughly takes about 1 hour and 15 minutes. Hi there! May I know how to get to Suria KLCC from my place PV16 and how long does it take to reach my destination? Hi, you can take RapidKL U20, U24, T312 or Metrobus 49 from Genting Klang to Wangsa Maju LRT, then take LRT to KLCC. It takes about 1 hour. Hi, you can take Metrobus 12 or RapidKL U85 from opposite of Jaya One to Mid Valley KTM, then cross opposite and take Metrobus 21 to Saujana Puchong, it costs about 1.90+2.50 for the journey. Hi, you can take RapidKL U623 to Kelana Jaya LRT Station, then take RapidKL U89 to Ikea. Hi, can you provide address of those clinics? Klinik pergigian besar, jalan tengku kelana, 41000 klang, selangor. Klinik kesihatan bandar botanik, blok A, jalan langat, bandar botanik, 41000 klang, selangor. Klinik pergigian shan alam, seksyen 19, jalan gelora 19/46, 40300 shah alam, selangor. With the address above, can u please let me know how to go there n how much taxi cost? Thanks. is brt stop at kelana jaya lrt? Hi, BRT does not stop at Kelana Jaya LRT station. Hi, you can take LRT from Taman Bahagia to Taman Jaya, then take PJ01 free shuttle to PJS 3/2 , then walk to Health Clinic at PJS 2/2C. Hi, can I know where you from so that I can tell you how long is the journey? Hi, you can take LRT from Wangsa Maju to Kerinchi, then walk from Kerinchi station to Pantai Medical Centre. The journey for LRT is about 30 minutes. Hi, you can walk from the LRT station to the clinic. May i know how long is the journey?? Hi, it is about 5-10 minutes walk. Hi again, is there any bus available from pantai medical centre back to wangsa maju? Hi, you can walk to Kerinchi LRT station and take LRT to Wangsa Maju. Hi, any recommended route and transport from kl sentral to pju 1a/7? Hi, you can take LRT from KL Sentral to Kelana Jaya, then take RapidKL t607 to PJU1a. Hello. May I know how to get to bangsar baru from TBS? Hi, you can take KTM from TBS to Mid Valley, then take RapidKL U87 to Bangsar Baru. Can you advice me on the WAYS and TIME NEEDED to go from Sunway University to Masjid Jamek at peak hours 5PM-6PM? Which one is the MOST TIME SAVING WAY? Can be any combination of ktm/lrt/brt/car as long as most fastest to reach not necessary just public transport. Hi, you can take RapidKL U623 or take taxi to Kelana Jaya LRT station, then take LRT to Masjid Jamek. How long is the jorney from lrt kelana jaya station to lrt masjid jamek station? It is about 30 minutes during peak hour. Hi, may i know how to get to Terminal Bas Selatan from LRT Taman Melati? 4. Roughly how much would the taxi fare be from Raja Chulan Monorail Statuon to Prince Court Medical Centre? Hi, you can take LRT from Taman Melati to Masjid Jamek, then switch to Sri petaling line to Tasik Selatan Station. TBS is connected with Tasek Selatan LRT Station. 4. 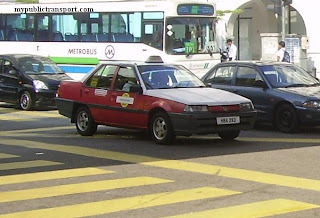 It is too near that some taxi driver may refuse to bring you, it should be about Rm5-6. You can take RapidKL B114 from Maluri LRT Station to Prince Court Medical Centre. Hi.. i need to know how to go menara bata pj trade centre from ara damansara.then how long is this trip.and how to return back ara damansara from menara bata..from ara damansara to bandar puteri puchong..how long this is trip will be in peak hour. This takes about 30 minutes. 2. Take RapidKL U89 to Persiaran Surian, this takes about 30 minutes as well. 3. Walk from Persiaran Surian or take RapidKL U86 to Menara Bata. U86 only comes every 2 hours. The walking time is about 20 minutes. For return journey, it is the opposite way. From Ara Damansara, you can take T607 to Kelana Jaya LRT Station, then take LRT to KL Sentral. From KL Sentral, take RapidKL U69 to Bandar Puteri Puchong, it takes about 2 hours for the entire journey. Hi :) can you guide me on how to get to ampang from seremban step by step? i rarely use the public transportation, so i didnt know much. Hi, can I know if there's any direct bus to Kerinchi lrt from Bandar Tasik Selatan or Midvalley ktm ? If got, how much would the fare be ? Hi, can I know which part of Ampang and Seremban are you referring to? Hi, you can take KTM or KLIA Transit from Tasik Selatan to KL Sentral, then take LRT from KL Sentral to Kerinchi LRT station. I take ktm seremban. And i want to get to ampang station. Hi,you can take KTM from Seremban to Tasek Selatan, then take LRT to Chan Sow Lin before switch to Ampang line to Ampang Station. May i know how long it would take to get to ampang station from ktm seremban? Hi, the entire journey should takes about 90 minutes. Hi. How do i get to Dataran Ara Damansara from Kelana Jaya LRT Station? If i take a cab, how much it will cost? And is there any buses that could take me from Kelana Jaya LRT Station to Dataran Ara Damansara? Hi, you can take RapidkL T607 with only Rm1. Do not take cab from Kelana Jaya LRT because they are not using the meter and charge fix rate for near to Rm20. Is it possible to go by public transport from USJ 1 (behind fresh boulevard) to UM (university malaya)? Hi, you can take RapidKL U63 or Metrobus 10 to University Malaya Hospital, then you can choose to walk into UM from the hospital, or take RapidKL U64, U80 , U81, or U88 to UM KL Gate and take T632 to enter UM. Hi, you can take LRT from Wangsa Maju to Dang Wangi, then take Monorail from Bukit Nanas to Medan Tuanku. Hi, from Bukit Jalil LRT station, how to get to Universiti LRT station? By bus. Hi, you can take LRT from Bukit Jalil to Masjid Jamek, then take Kelana Jaya Line from Masjid Jamek to Universiti. 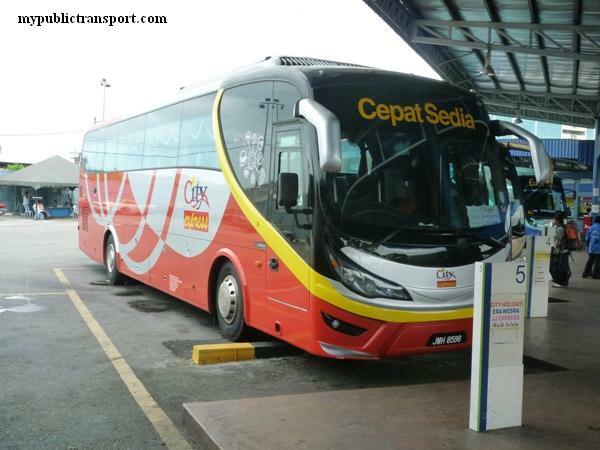 Hi, you can take KTM from Kajang to KL Sentral, then take RapidkL U82, U88 or Metrobus 99 to One World Hotel. It takes about 2.5 hours. Hi can you help me how can i go to wangsa maju. im from ikea and the curve.. Thankyou! Hi, you can take RapidkL U89 from Persiaran Surian to Kelana Jaya LRT, then take LRT to Wangsa Maju. hi,may i know the lrt ticket price from taman paramount to lrt dang wangi? hi,may i know the lrt ticket fee from taman paramount to dang wangi? 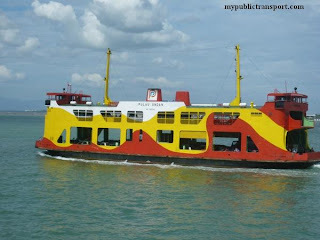 hi, may i know how to go to POS LAJU BATU CAVES from Jalan Raja Muda Abdul Aziz Kampung Baru? Hi, you can walk to Jalan Sultan Azlan Shah (formerly Jalan Ipoh) and take RapidKL U10 to Jalan Samudera Utama and walk to Pos Laju Batu Caves. 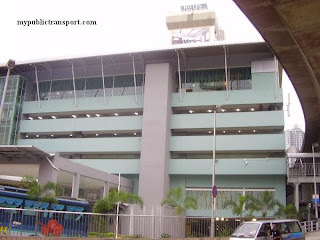 1. can i know how to travel from wangsa maju lrt to Imbi monorail station? And how long does it take to reach my destination? 2. Can i apply Rapidpass Rail (Rm100 unlimited per month) to travel from wangsa maju lrt to Imbi monorail station? I am looking forward for your reply. Thanks. 1. You can take LRT from Wangsa Maju to Dang Wangi, then take Monorail from Bukit Nanas to Imbi. It takes less than 1 hour. may i ask can i take wangsa maju lrt to Kl sentral, then take monorail to imbi. The time of travel will fast than i take monorail from Dang Wangi, then take Monorail from Bukit Nanas to Imbi? Hi, this wont be faster but slower. Hi, how can I get to Menara Bata PJ from KL sentral? What the easy way to reach there? Can u explain to me step by step to get there by using public transportation? Hi, you can take RapidkL U88 or Metrobus 99 from KL Sentral to Persiaran Surian near to Ikea. I suggest you to walk from Ikea to Menara Bata because it will be faster than waiting the bus (u86, every 2 hours only) to Menara Bata. How long journey from kl sentral to persiaran Surian by rapidKL? And how long time to walk from IKEA to menara bata? If I just get cab from LRT kelana jaya to Menara Bata, how much it will cost? From KL Sentral to Surian it takes about 1 hour, the walking distance is like 15minutes. The taxi at Kelana Jaya LRT is famous to charge illegal fares on customer and with that distance it can be Rm30. You can just go to Taman Bahagia LRT for the taxi. Hi, you can take LRT to University station, then take Rapidkl u81 to Subang Bistari. Hi, you can directly take LRT from Gombak to Kelana Jaya. Hi, you can take LRT from Kelana Jaya to Dang Wangi , then Cap Square is walking distance from Dang Wangi station. Yes, that's the entire journey. It takes about 20-25 minutes only for the LRT journey, LRT is available every 2-3 minutes at 7.30am. Hello, may I know how to go to Menara Bata, Mutiara Damansara from Kelana Jaya LRT? Hi, the easiest way is to take RapidkL U89 from Kelana Jaya LRT to persiaran Surian, then walk to Menara Bata. Hi may I know how long it takes to get from Kelana Jaya to Bangsar by LRT? Hi, it is about 20 minutes. Hi, may I know how long it takes from wangsa maju lrt to kelana Jaya lrt? its directly from/to for both destination right? Hi, it is about 30 minutes. Yes they are connected directly. hi, how to go petaling jaya 13 by train? Help.....how to go kelana jaya from tbs?? Hi, You can take LRT from TBS to Kelana Jaya (transit at Masjid Jamek). Can I know what is the Petaling Jaya 13 that you mean? Hi, you can take LRT from Pandan Jaya to Masjid Jamek, then switch to Kelana Jaya Line to Sri Rampai Station. From Sri Rampai station you can walk to Wangsa Walk. Can you please tell me what is the travel time from 1) LRT Ampang Park to LRT Cheras and 2) LRT Ampang Park to LRT Bukit Jalil. Hi, 1) around 30 minutes. 2.) around 45 minutes. hello..how can i go to ss2 petaling jaya from ktm shah alam? Hi, you can take KTM from Shah Alam to KL Sentral, then take LRT to Universiti. From there you can take RapidkL U85, U88 or Metrobus 12, 99 to SS2. 1)Can i drive to kelana then take LRT to Ampang Park? is there many parking and how much for whole day? 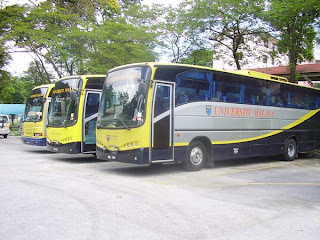 2) What number bus can i take from USJ 4 to KL or Ampang Park? 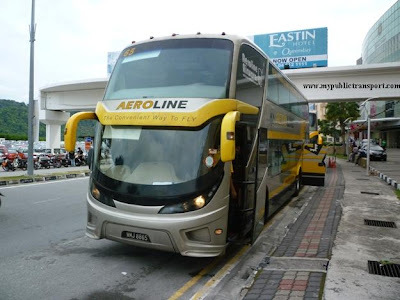 3) Is there a direct bus thru Federal Highway to KL? 4) How long is the journey from Pasar Tani to LRT Ampang? 1. Yes you can but the car park can only fits like about 100 cars. 2. You can take RapidKL U67 to Asia Jaya near Federal Highway and take LRT from Asia Jaya to Ampang Park. 4. From Pasar Seni to LRT Ampang (not Ampang Park), will be like 30 minutes. How long does it take by Bus from Awan Besar LRT to 1) KL Sentral 2) Pasar Seni during peak hours, and what is the frequency of the bus? What would be the fastest way to get from Awan Besar to Ampang Park using public transport? HI, you can take LRT from Awan Besar to Masjid Jamek, then switch to Kelana Jaya line to Ampang Park. This is the fastest way and during peak hours Kelana Jaya Line LRT comes every 2-3 minutes. The entire journey should be about 40-45 minutes. Hi, how long will it take from LRT Asia Jaya to Lrt Bandaraya? Hi, consider into the time taken for transit at Masjid Jamek, it is roughly 35-40 minutes. How much is the ticket price from LRT Asia Jaya to LRT Bandaraya? It will be RM3.30 effective from 2 December. Hi, effective from 1 Dec 2015, you can take LRT to Taman Melati, then take T203 from Taman Melati LRT to PV16. 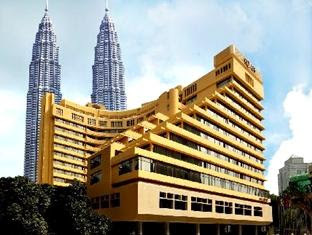 I would like to get from KL central to Gleneagles Hosp Jln Ampang and vice versa. Jelatek seems to be the closest LRT station, but I can't seem to find any bus passing this area. 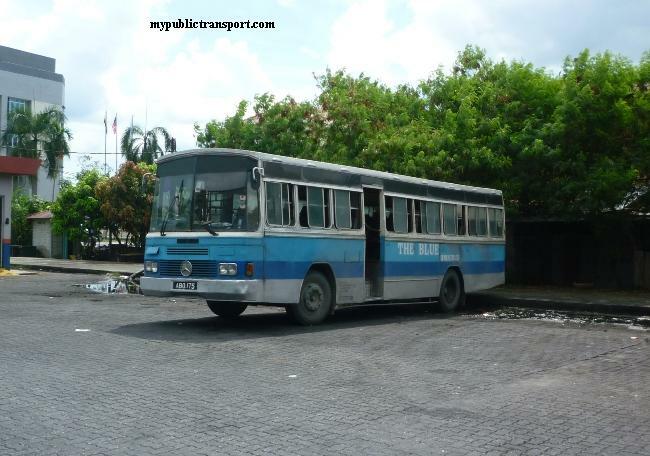 Are there any such bus routes? The other alternative seems to be getting down at Ampang Park and taking either the U26, U29 or U30 buses. Is this true? Any idea about the frequencies? Hi, effective from 1 Dec, you can take 300, 303, T301 to Gleneagles Hospital. Not sure which operator is going to operate the routes yet so we can't tell what is the frequency. Hi, may i know which way do i use to go from subang to unitar at kelana jaya? Hi, you can take RapidKL 770 or 771 to Asia Jaya (then walk to LRT Station), and take LRT to Taman Bahagia. From Taman Bahagia LRT, take RapidKL T783 to Unitar. Hi, how can i get to bangsar lrt from subang jaya. Hi, you can take RapidkL 770 or 771 to Asia Jaya Federal Highway, then take LRT from Asia Jaya to Bangsar. Hi, may I know how to get to KL Sentral from the Curve and how long does it takes? Hi, you can take RapidKL 780. It takes about 1 hour. I would like to travel from Rawang to Setiawangsa using the public transport preferably using trains and LRT. 1. How much will the fare be up and down? 2. How much time does it take one way? Hi, you can take KTM from Rawang to KL Sentral, then switch to LRT to Setiawangsa. It takes about 90 minutes. Hi, you can take LRT (transit at Masjid Jamek).